BLOOD IS THICKER... 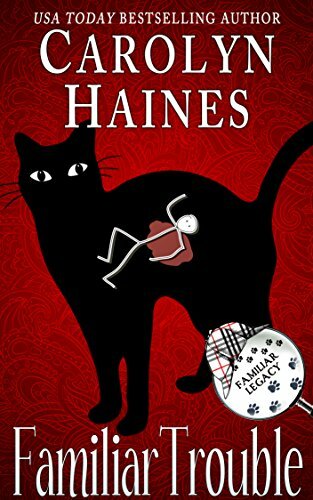 Sometimes a unique talent is inherited-and such is the case for Trouble, son of Familiar the black cat detective. Trouble's rather indolent life in the sleepy town of Wetumpka, Alabama is upended when a serial killer arrives on the scene. Trouble begins to apply the skills he learned from his dad and his hero, Sherlock Holmes. When local bookseller Tammy Lynn is attacked at the site of an impact crater, Trouble realizes he must protect his human and solve the mystery of the Silk Stocking Killer. Aiden Waters, a local deputy, has tracked the SSK to Wetumpka. Since his wife's murder, Aiden won't risk romance, but when Tammy is endangered, everything changes. Especially their hearts.